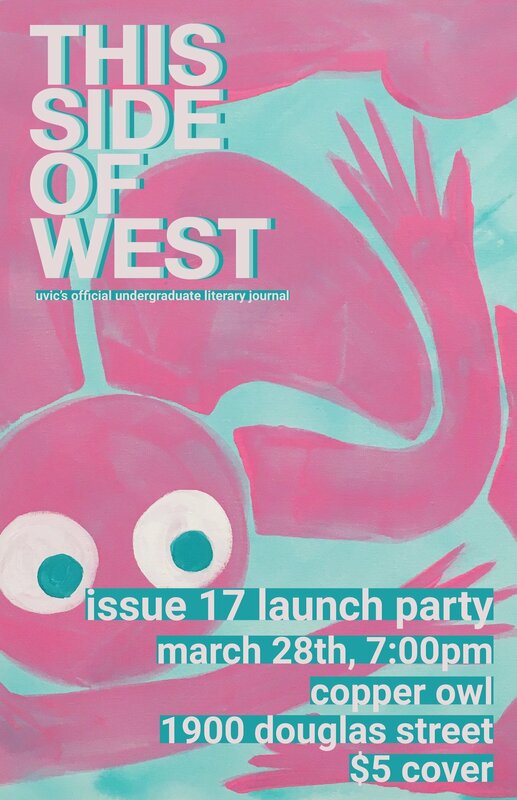 Come hear the authors published in UVic's official undergraduate literary anthology read their work. $5 cover: tickets will be available through This Side of West staff and at the door. (Tickets not yet available.) Doors at 7pm. 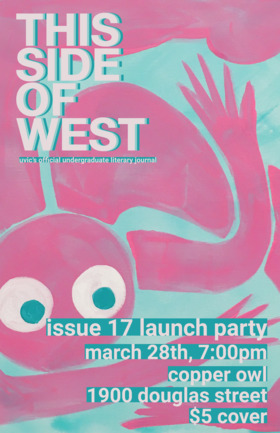 This Side of West is a service of the UVic Writing Undergraduate Course Union. Call them UWUCU, it's fun.